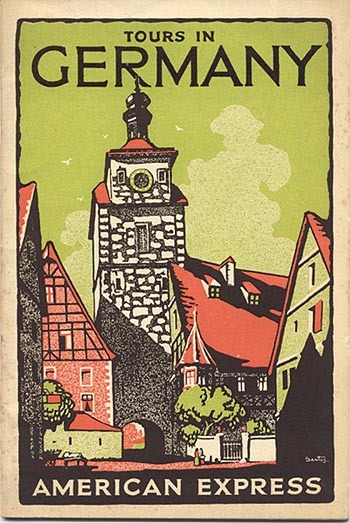 Travel booklet "Tours in Germany," 1930. Signed "Santos." Published by the American Express Co.